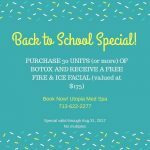 Home→Special Events and Promotions→Add Spa to Your Back-to-School List! Whether the kids are back in school or not, your hectic schedule requires some self-care. You do so much for others; it’s time to make yourself a priority with a pampering spa experience. Receive your complimentary (FREE!) Limelight Laser Treatment (Normally priced at $450.00) when you purchase TWO Juvederm syringes! Our Limelight laser will diminish redness, mottled complexions, freckles and sun damage and leave you with a radiant, glowing complexion. 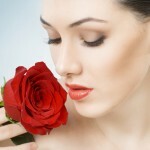 Then schedule your SkinMedica Illuminize Peel – only $99.00 (usually $150.00). This peel is ideal for first-time patients or those looking for quick skin enhancements. The Illuminize peel will brighten and tighten your skin for a more youthful appearance with little to NO visible peeling and help reduce visible signs of aging, including fine lines and wrinkles, sun damage and irregular pigmentation. 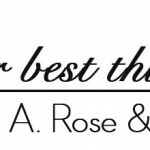 Review the services we offer on our website https://www.plasticsurgeryrose.com/ and schedule your appointment with Dr. Franklin Rose today!